I've had these plums in my freezer since my first Not Far From The Tree pick this fall. Most of the plums were made into jam as I began my canning adventures. 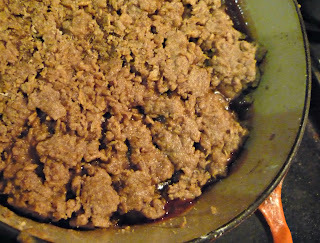 I froze some with the idea of perhaps someday making a plum beer and a few winter crumbles. I have not had crumble since I was a kid and eating this messy tart and sweet, hot and cold dessert reminded me of small town Saskatchewan. I wanted to use up the last of the spent grains I picked up from Junction Craft Brewery as well. 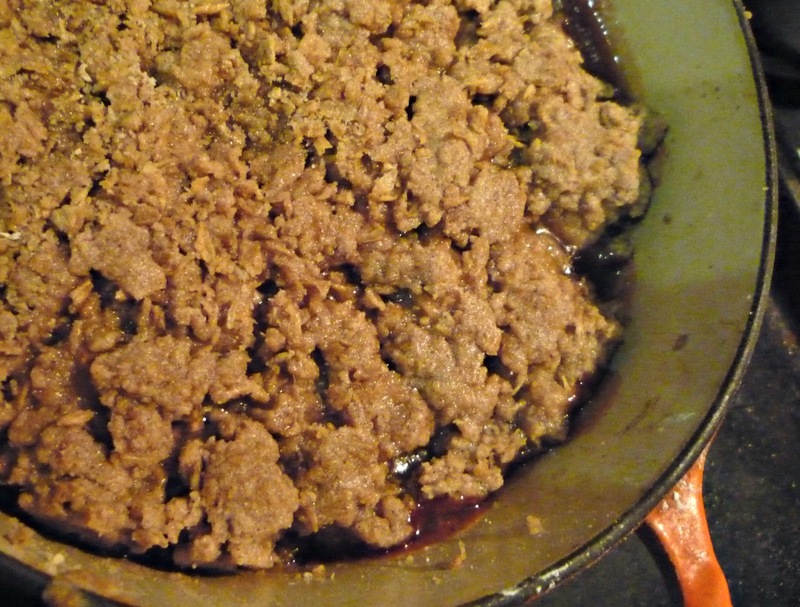 The spent grains were used in place of the more traditional rolled oats in the crumble topping. I am entering this crumble in Naked Vegan Cooking's Crumble Competition. Deadline is 1 Feb 2013 so you still have enough time to cook up a crumble and enter!